If the â€œopen rateâ€ for my monthly note is only 2% yet it generates this kind of response, I’ll be happy. I’ll lead with â€œthank youâ€ to the reader who took a great deal of time to email me this response, and for the three stories her response has generated. This month I asked what you (consumers) would change about the real estate process. I wish house listings included a floor plan, even if it were a rough, not-to-scale, sketch. We’d be able to understand better if a house would or would not work for us if we knew the relationships of the rooms to each other. If the agent/photographer is good, we can sometimes get this from the photos — if they are presented in a rational, spatial sequence, and include the transitions from one space to the next — but the quality of the photos is many times misleading (if they look good) or downright awful. Look – providing floor plans isn’t a difficult task; it’s not inexpensive, but neither are houses. I noted the advent of affordable floor plan technology in 2010. I hand sketch floor plans all the time – just Saturday I drew for a client a house I’d seen a few days’ prior. From memory on a piece of scrap paper, and it worked (maps are useful when combined with verbal descriptions). I don’t know my older daughter’s phone number (which she’s had for 5 years) but can typically recall the layout of a property I saw five years ago. I’ve written many, many times (and so have my clients!) – since at least 2007 – about real estate photos. The only thing that will change poor photos being used is for consumers to demand more. I send the photos to my seller clients before using them on anything – I want to make sure they both approve and feel good about how we’re marketing their homes. I’d love to be able to provide recent examples from the Charlottesville MLS of head-smashingly bad photos – photos so bad I wish I could call the seller and ask them what they’re thinking. In one example, I know the agent consistently takes bad photos, and the seller would have known that if they’d spent 30 seconds researching. That the seller permits these photos to be used is confounding, but there you go. 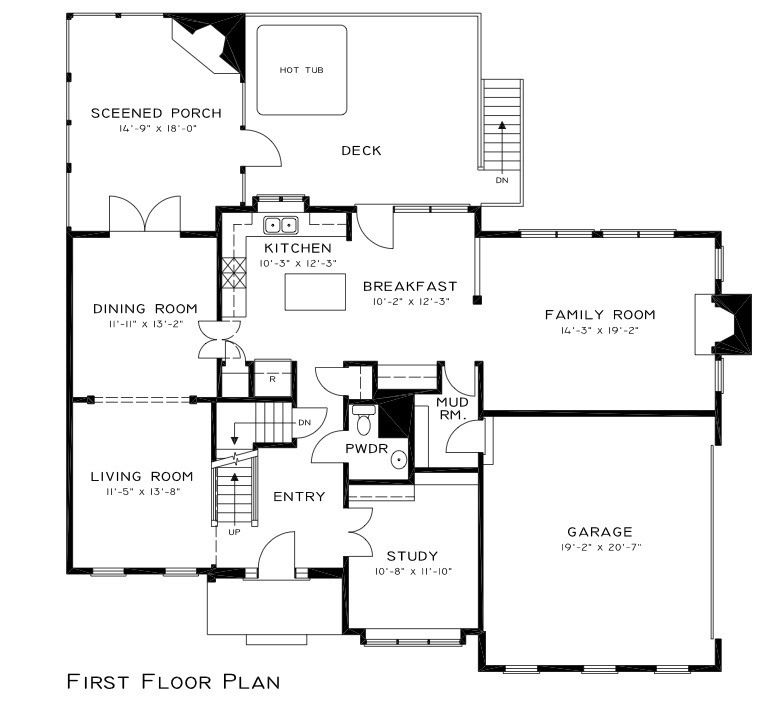 Floorplans – yes, they cost money. So do professional photographers. So do professional Realtors’ services. * as you had mentioned… dark, out of focus, cluttered, etc. * excessive photos of flowers in the yard/landscaping; a few photos are nice, but not when ratio of house-to-flora is out of whack. Real estate listings are storytelling. You want a story that is engaging, makes you want to read the next page, tells you about something that is familiar, but completely unique. The medium is comprised of some text boxes and some images. The listing agents who understand their medium and employ a variety of tools to convey their story are the ones that got and kept my attention. They are also the ones we will likely seek out when we ultimately sell our house. One of the greatest limitations that has frustrated me so much that I’ve stopped being frustrated is that the public remarks are limited to something like 500 characters – all in the attempt to keep MLS sheets to being printed on 1 page. That said, I absolutely agree with everything you said, and thank you for the insight! As a buyer, I love crappy photos in listings, as well as photos of “dated” kitchens and baths, or crappy front yards. Over the years, these have saved me tens of thousands of dollars, by turning off many potential buyers and reducing my competition. Many people today won’t even tour a house because it has Formica countertops and non-stainless appliances. All the better for me. I’ll either live with it or slowly replace it. Believe it or not, you can still use your toaster and Keurig on Formica counters, and an almond bisque-colored fridge will cool your food just as well as a stainless one. Don’t want to give away trade secrets or anything. I don’t know what agents think they are saying by not including kitchen and bath photos. What I am hearing is: they’re so disgusting we can’t even clean them up enough to show you. I automatically add $50K to the price I’m looking at for fixing up before deciding if I want to look. Predicting a Home Value Rise, like we had back in Early 2007 here too!!! And that one was Massive if you remember too!! 2007 Levels again, but not until 2017, so you have been Warned now at least!! before they Rise more too!! Great article. I love the bit about including floor plans. That would be a great sales technique. Three bedrooms/2 baths says very little. Seeing that the master bedroom is on the other side of the house could make all the difference. A cheap way to include a decent floor plan is to ask the sellers if they have an old appraisal. A floor plan will be included 95% of the time. Photograph and post. Done. Great article and something which i very much understand from the buyers point of view as a realtor myself. I always say pictures speak a 1000 words and the floor plan is the icing on the cake that can seal the faith of whether to view or not. I have a site called Homes on the Market which helps both buyers and sellers and have a lot of useful resources too. Homes on the Market is the first destination when you want to buy, sell or rent real estate in the Washington DC Metropolitan area. It is a great place to start your homes for sale research.